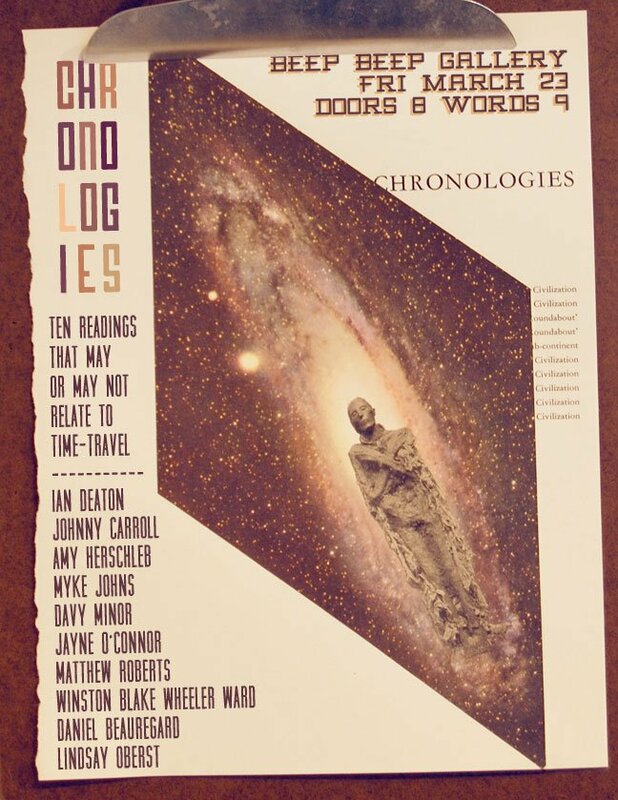 On Friday, March 23, 10 readers, including me, will be reading about time travel (or maybe something else equally as interesting). This is an event to close out a time travel inspired exhibit at Beep Beep Gallery by Mike Germon called Bootstrap Paradox. If you’re in Atlanta, this is a chance to see some awesome local writers.